The Making of Harry Potter Studio Tour from $149 at Viator - A TripAdvisor Company If you are a fan of a young wizard, you can't miss the opportunity to experience the making of the magical movies. International Food Tour in London from $148.56 at Viator - A TripAdvisor Company Eat your way around London and the most famous Soho district on this 3.5-hour food experience. Private Tour of Paris from $17.65 by Night at Viator - A TripAdvisor Company See Paris at night with a private guide during a 3-hour walk. Moulin Rouge Show from $156 at Viator - A TripAdvisor Company Experience the famous Moulin Rogue when visiting Paris. Book your tickets today. Free Cancellation at Viator - A TripAdvisor Company Change of plans? No worries, just cancel your booking at least 24 hours in advance and you'll receive a full refund. Rome Multi-Day Tours Under $200 at Viator - A TripAdvisor Company Discover extended tours in Rome and enjoy sightseeing all the popular places. Viator are the world leaders in travel. 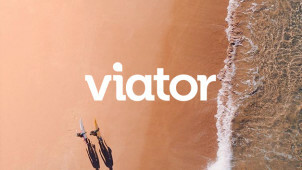 After 17 years of experience, it’s fair to say Viator know their stuff when it comes to researching, finding and booking the best travel experiences worldwide. If you’re after an adventure, then pick up a Viator promo code and enjoy your trip for less. There is something for every kind of traveller whether you are looking for a once-in-a-lifetime experience or a guided tour. Don’t delay, book today and start discovering! Viator has a 24/7 help centre, so no matter what time of the day it is, you can get your question answered. Worried about your credit card? Desperate to know about the best tour? Need help while travelling? Viator’s dedicated team are more than happy to help at any time. Put your mind at ease and find out everything you need to know with Viator’s 24/7 Global Support team. Pick a private tour guide online at Viator and get expert help. All you need to do is choose a destination and tour guide and speak with your personal guide to make the perfect itinerary for you based on their extensive knowledge. And with a Viator discount code, you’ll be booking your ideal getaway while saving yourself a few bob too. No matter how you choose to spend your travels, you’re sure to have a brilliant time.